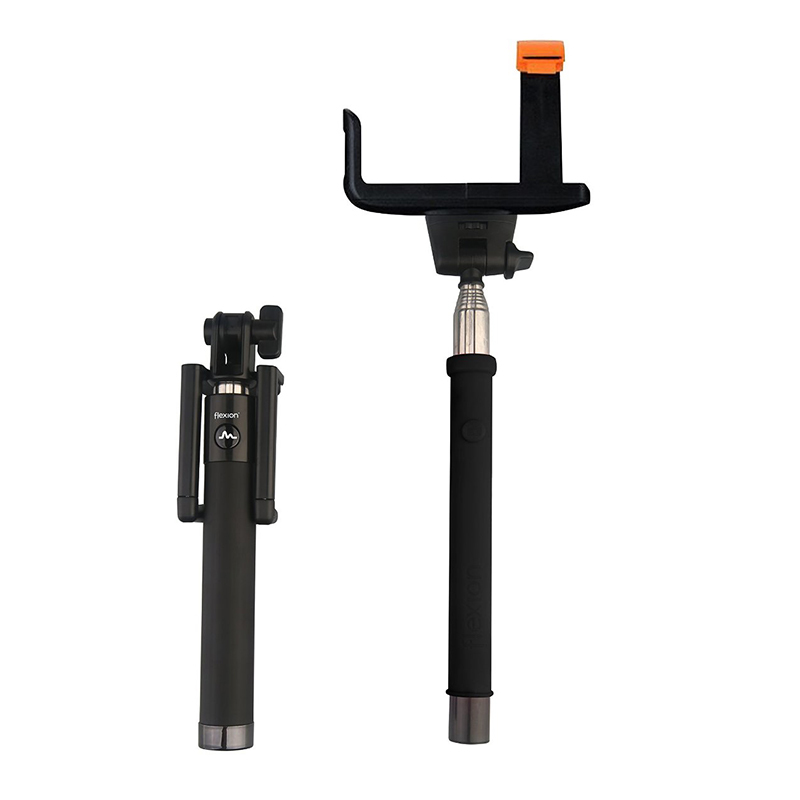 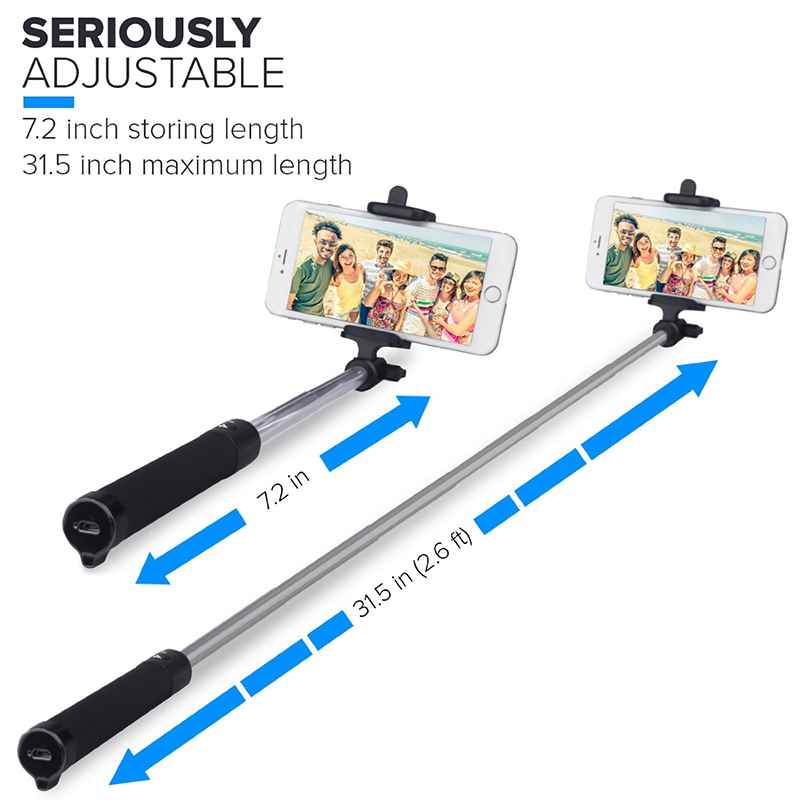 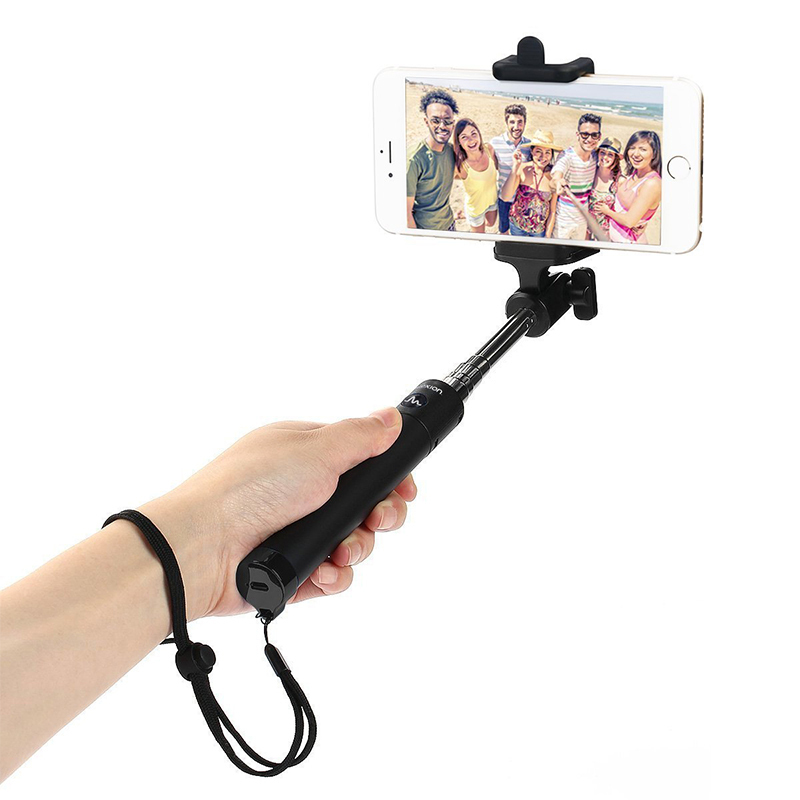 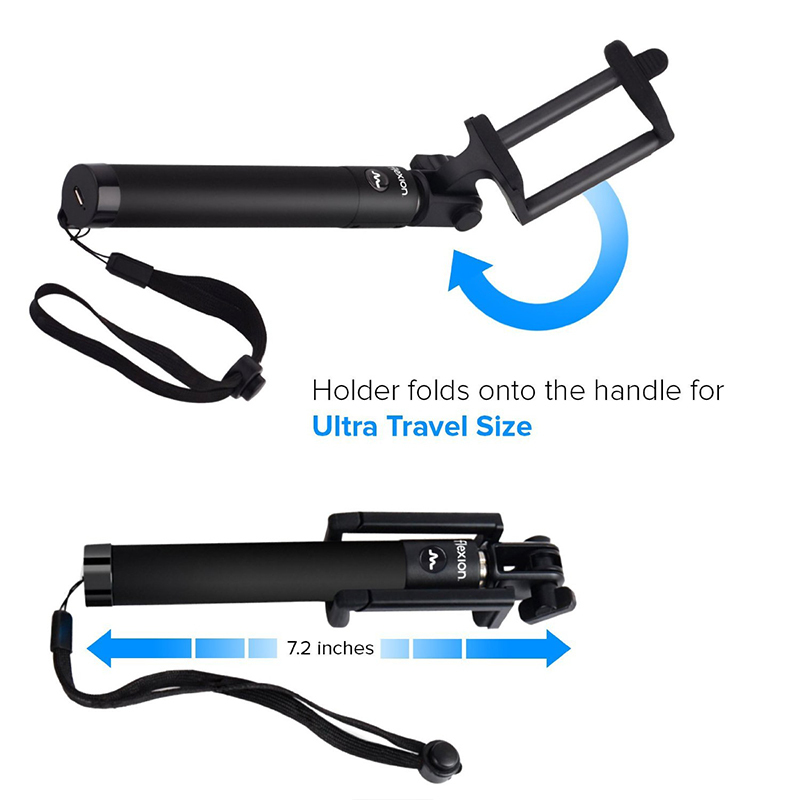 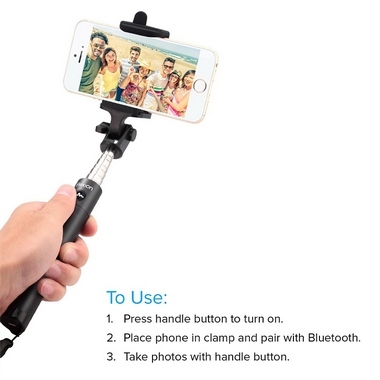 2015 Premium Flexion™ Selfie Stick: Ultra compact and secure design with no installation needed. 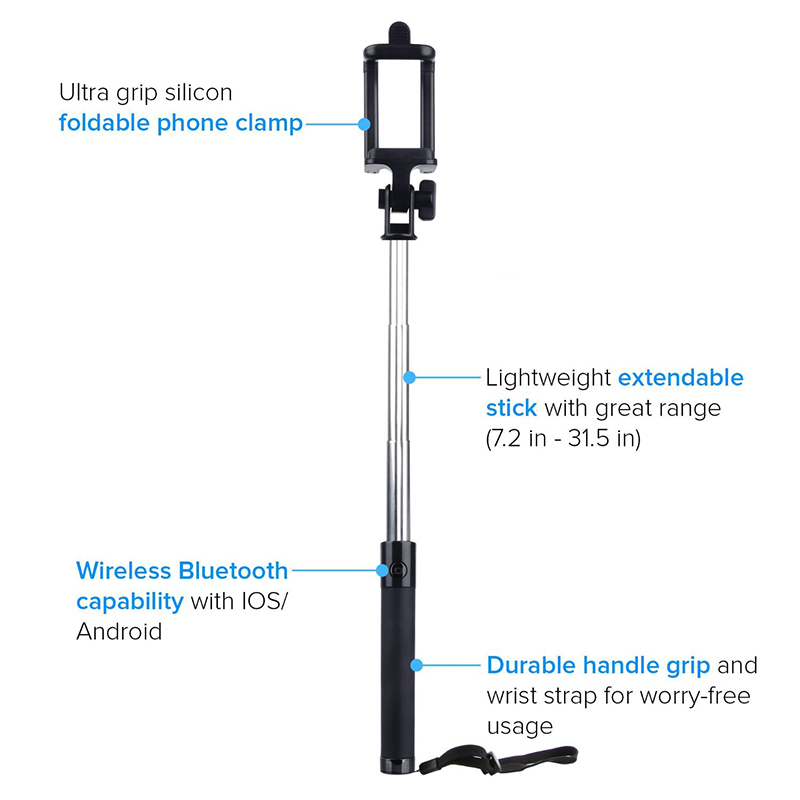 Simple to use: Simply turn on the selfie stick and pair it with your phone via Bluetooth to take photos with the accessible handle button. Ultra Travel Size: At 7.2 inches storing length (and 31.5 inch maximum length), the 2015 compact option is the perfect traveling companion in your pocket or bag. 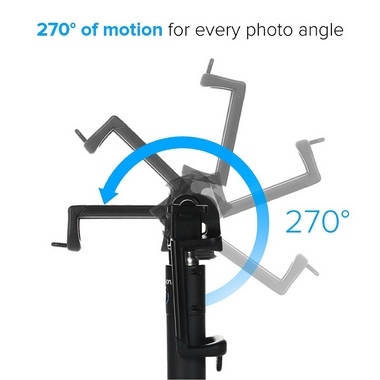 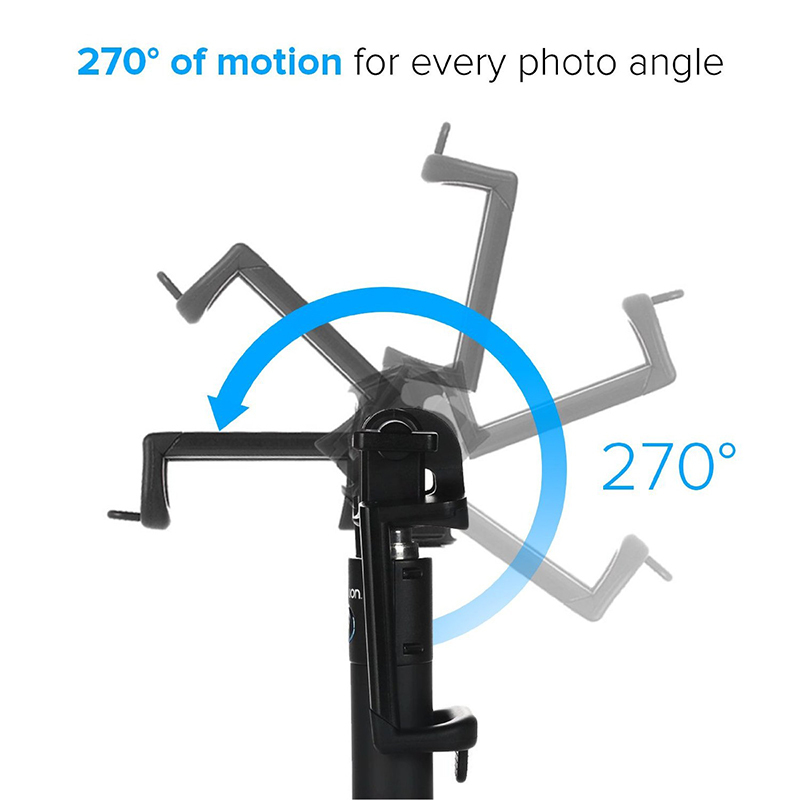 For the selfie artist: the adjustable 270 degree holder allows a variety of shooting angles from traditional selfies to above-crowd shots.